Wilton Road runs west out of Ross towards Wilton. 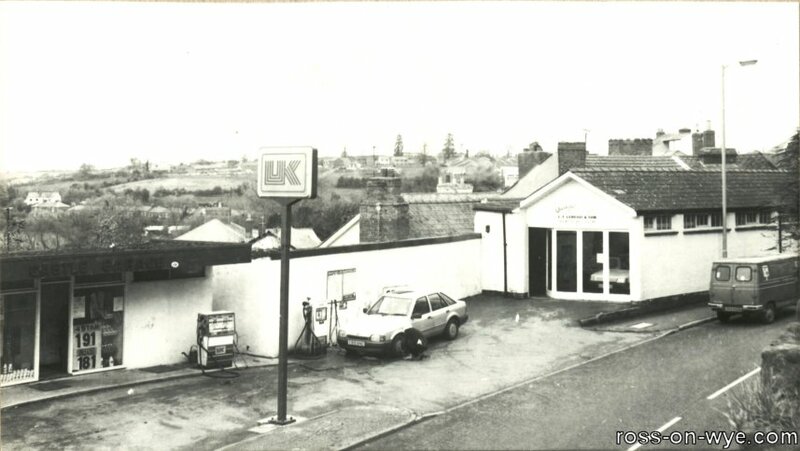 It starts at the point where Wye Street, Edde Cross Street and the High Street meet. 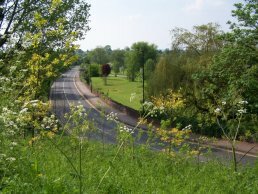 As it runs around towards Wilton, it passes the end of the Royal Parade, then on past Redhill, around to the bottom end of Wye Street and carries on to Wilton Bridge and into Wilton itself. Prior to Wilton Road, the route to Wilton used to mean all traffic went down Wye Street and the notorious Dock Pitch. 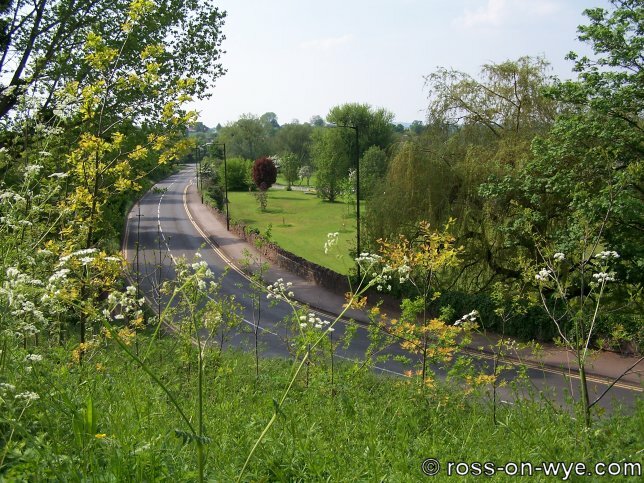 The causeway to the river and Wilton Bridge was originally built in the fourteenth century and by the 1700's was in very poor repair. 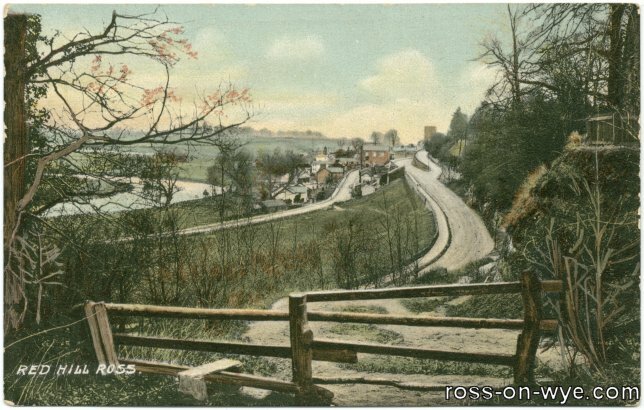 John Kyrle then, by means of public subscription, raised the funds to repair the causeway thus improving the western access to the town. 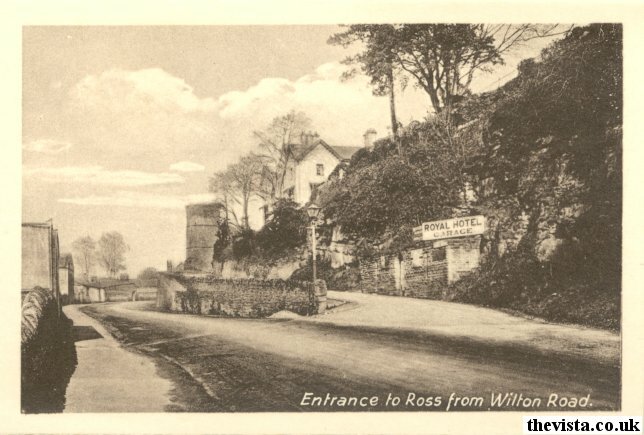 Because of the notorious route into Ross, and during improvements to the mail route, Thomas Telford proposed that the route be changed to avoid the Wye Street section of the road. Thus the current Wilton Road was built in 1833. 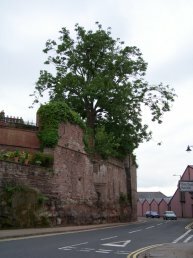 This ash tree is one of the landmark trees that can be easily seen from the A40 and Bridstow Bridge. It has been given life saving treatment by a specialist tree surgeon, Steve Ambler, due to the owners who live at the Old Court House, obtaining funding from a grant scheme. The scheme is funded by the National Grid, as a result of being within a mile of the of the gas pipeline that has been recently installed, and administered by the Wye Valley Area of Outstanding Natural Beauty. 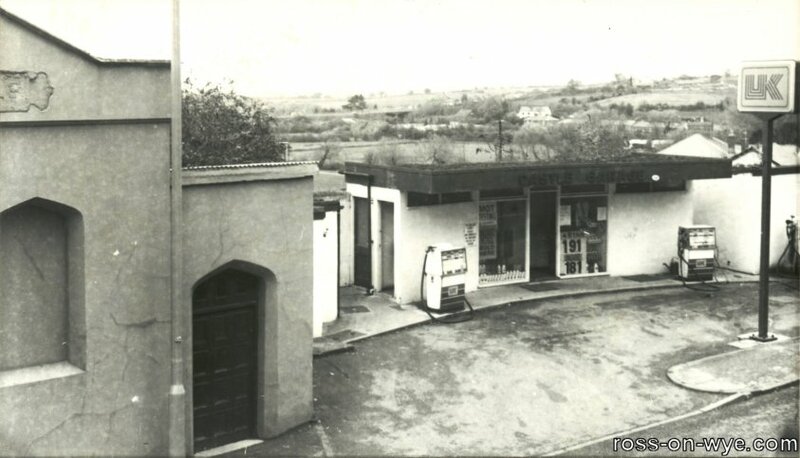 The building shown above, next to The British and Foreign School, was built on the site of the Castle Garage which had a forecourt serving petrol and a service garage as seen in the photos below. 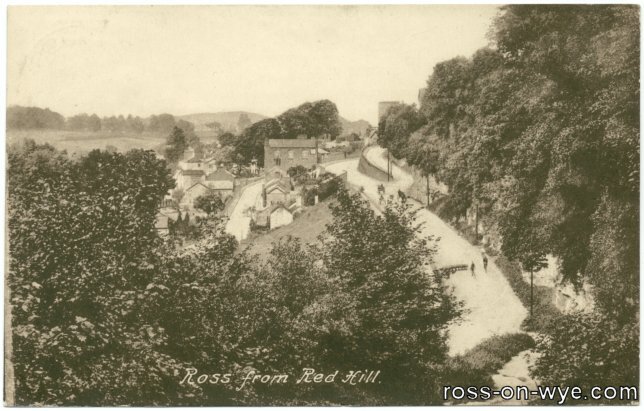 This is an shot of the point where the Royal Parade joins Wilton Road and was taken in the early 1900's (taken from a letter card). 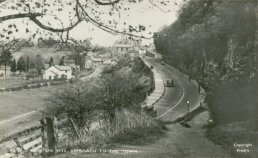 To the right of the shot can be seen the animal pound that used to be at the bottom the Parade, it was a small building with slit windows and a door in the front. 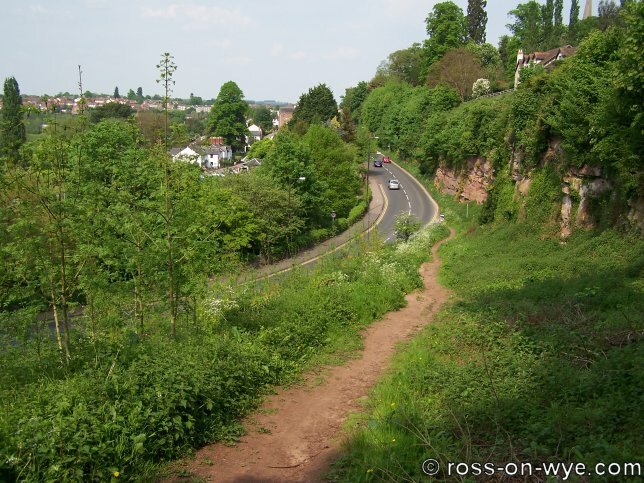 This is the corner where Wilton Road diverts away from the cliffs and around towards Wilton Bridge. 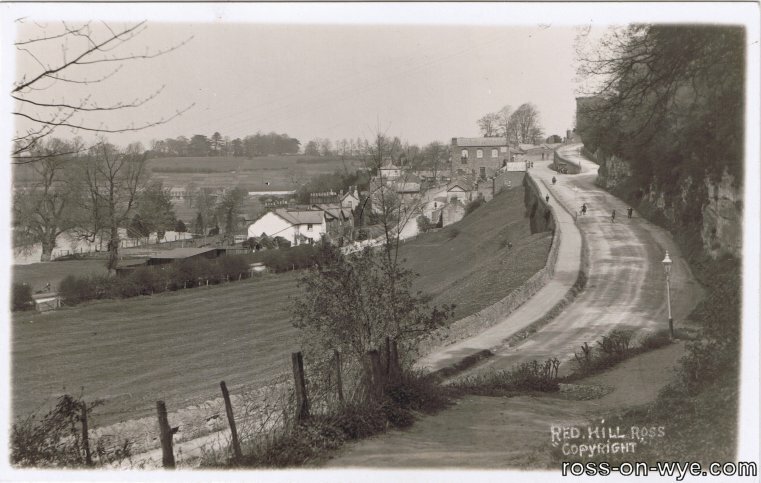 These are two views of Wilton Road and the Royal Parade looking from Red Hill. 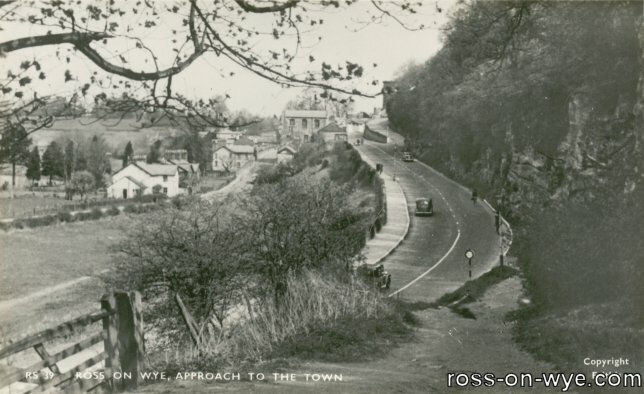 This very clear photo shows a number of people standing in Wilton Road. There are also a number of gas street lamps visible that are positioned right on the curb. These were subsequently moved to the far side of the pavement to avoid them being hit by motor vehicles. 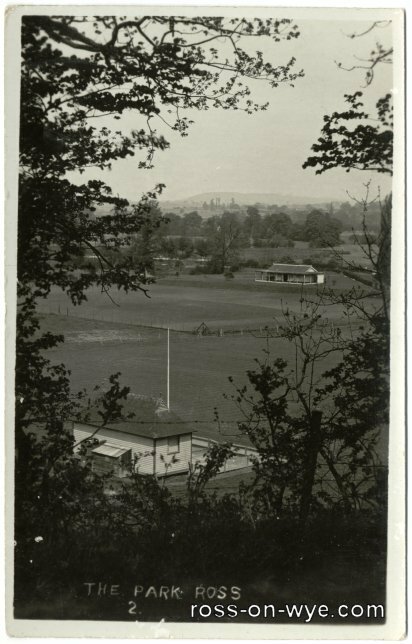 The open area between Wilton Road and Wye Street is completely clear of bushes and trees and appears to have been mown possibly to make hay as it was a field at that time (a gate can be seen on the far left onto Wye Street). 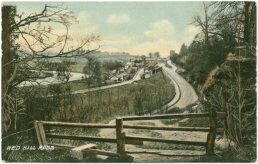 Once it was built, it was known as "the New Road" for a considerable period of time; it has also been known as the Hereford Road. 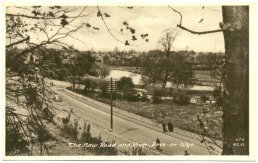 In the postcard view below, the point where Wye Street and Wilton Road meet can be seen and the photo beside it is a recent comparison view. 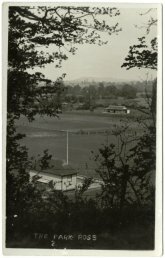 This area was known as "The Park" and is beside Wilton Road where the cricket pitch is now located and Wilton car park is to the right.